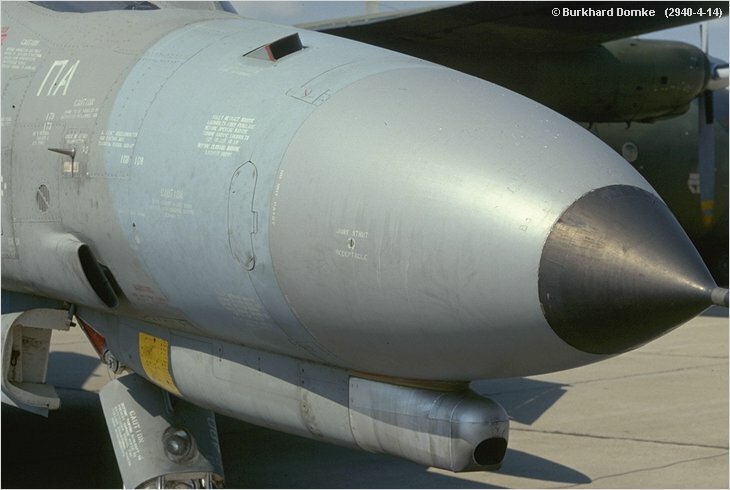 Nose section with underslung M61 gun fairing and muzzle. Small rectangular scoop is the gun bay purge vent. It is open when the aircraft is static on ground.